it’s a story in error. and finish with a river of ink. common story for special people. now that heaven has sculpted their edges? Termini Station at the base of the heart. ordinary night for special people. or it’s a story error. don’t ask us anymore how it went. you know so well that it’s a story in error. "Una storia sbagliata" was co-written with Massimo Bubola on commission as music for a television broadcast titled "Behind the Trial" ("Dietro il processo"), by journalist Franco Biancacci. 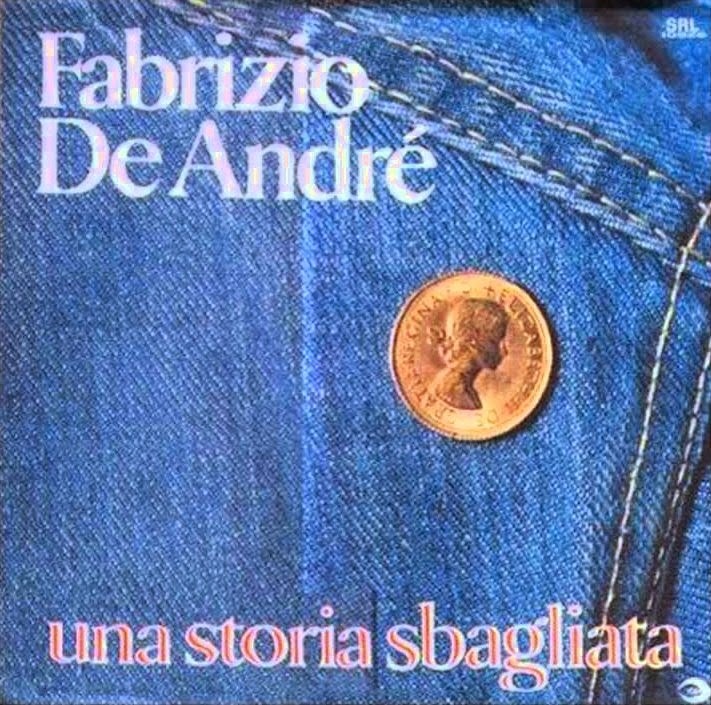 The song was released as a 45 in 1980, and included in a 2005 anthology In direzione ostinata e contraria. The song is about the brutal unsolved murder in 1975 of Pier Paolo Pasolini, who was active and influential as a poet, journalist, philosopher, novelist, playwright, filmmaker, actor, painter and political figure. Pasolini was, courageously for the times and culture, openly gay. The court convicted as the murderer a man who said that Pasolini had come on to him, and then they subsequently got into a fight. But it was an unconvincing verdict, and in fact the convicted murderer recanted his testimony years later and said that three men "with southern accents" had been responsible, leaving open the possibility of other more sinister motives based on Pasolini's strong and controversial social and political views - there was a lot to dislike for Italians of disparate views in a communist-turned-Radical Party homosexual who sided with the policemen during the student protests of the 1960's, opposed liberalization of abortion laws, decried consumerism, globalization and the loss of traditional Italian culture, and spoke both intelligently and provocatively through his many writings and films (his last movie, Salò was named "Most Controversial Film" of all time in a 2006 film guide from Time Out magazine).